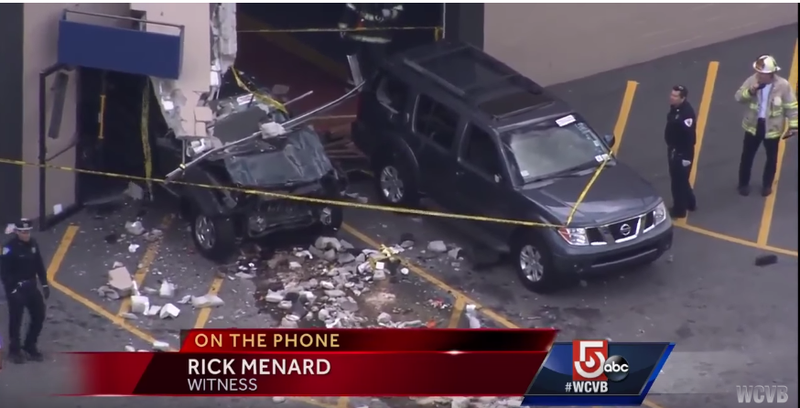 Earlier today, the elderly driver of a Jeep drove his vehicle into the Lynnway Auto Auction near Boston, killing three and injuring 10, TV station WCVB reports. Witnesses describe the scene as something out of a horror film. I heard a screeching of tires, and, I believe, a Jeep Cherokee went flying by me. In avoiding the cars, whoever was driving this vehicle, hit several people. Two women and one man were killed, and according to officials, of the 10 people hurt, two are facing life-threatening injuries while the remaining eight have “serious” injuries. We heard a bang or an explosion. It was almost like a bomb. The whole place just went silent...There were people just lying on the ground — a horrific, crazy, tragic situation. At this point, there is no evidence or information to suggest the incident was caused by an intentional or terrorist act. All evidence and information at this time suggests an accidental cause.